"Miami is an aggressive city! 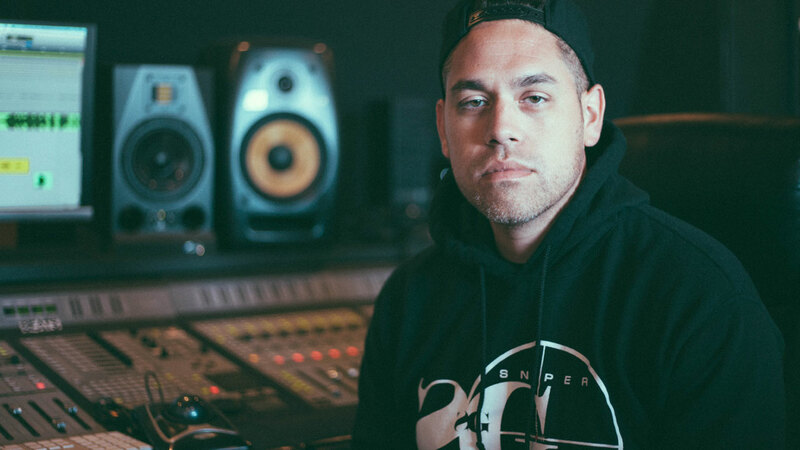 The clubs, the streets, the people... Sonically, you want to be aggressive with how your music is produced,” says Mix Engineer, Producer Derek Garcia (DJ Khaled, Kodak Black, Rick Ross). Derek dishes out some tips for those with a vice for bigger, louder mixes. Welcome to Miami. A place where people live and breathe just as loud as the music rattling from car systems cruising from Opa Locka to Collins Avenue. A paella of different cultures, heat, 24/7 nightlife and notoriety. As a gateway of Afro-Cuban and Latin American music, the city gave birth to what became known in the 80s as the ‘Miami sound,’ led by Gloria Estefan and the Miami Sound Machine. At the same time, on another side of the city, you could hear the cars go boom as the trunks of low riders blasted the big booty bass music of artist and DJs such as MC A.D.E., 2 Live Crew, and Luke ‘Skyywalker’ Campbell. More recently, the city became a hotbed of hip hop artists and DJs such as Trick Daddy, Flo Rida, Pitbull and DJ Khaled. 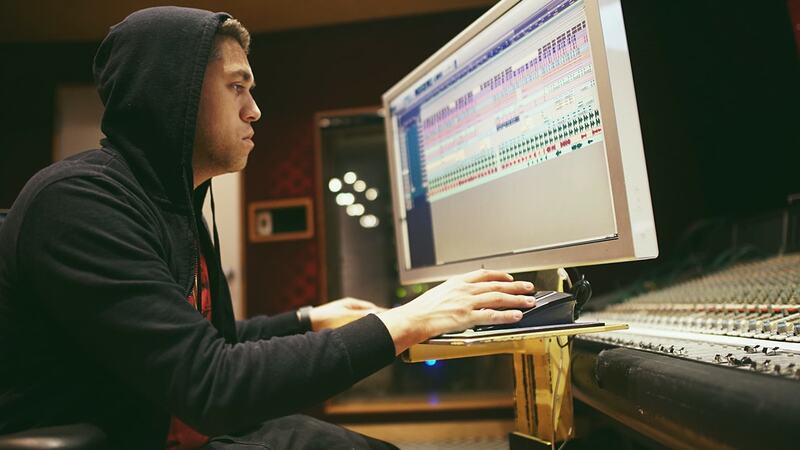 Musician, engineer and Miami native Derek Garcia soaked-up all of this, playing a significant role in the rise of the city’s new scene and engineering several #1 Billboard albums by DJ Khaled and Rick Ross, including DJ Khaled’s latest album Grateful. We talked to Derek to find out about his contribution to the new Miami sound. Let’s dive right in… Your big bass sound is something that jumps out of the speakers. What’s your secret to getting 808s, kicks, and sub bass to fit together in the mix? I started out as a drummer. So, I always tend to start my mixes with the low end. It’s something I like to get really aggressive with, just like the character of the city. Back in the day, when it came to guys like 2 Live Crew and Luke Skyy and that big booty bass sound, one thing I took from that was the idea that in the south, we’re bass-heavy people – trunk rattle is a big deal down here! [laughs] We started and originated at a time when so much of this culture was riding donks and low riders. And for a lot of people, a boomin’ system is life! Down here in Miami, people talk, drive and party aggressively. That kick and bass definitely got to be pumping, filling the whole room and slapping you right in the chest! But priority number one is the even balance between them. There are moments when an 808 can completely clash with a kick polarity-wise; both sounds are competing for the same space. On 808s, I’ve learned that compressing with a late attack really helps balance out the low end when the kick and the 808 are hitting on the same spot. Another trick I love using is with de-essers; more specifically the Renaissance DeEsser. To me, de-essers are so useful when it comes to taming a specific frequency, whether at the very high end or the very low end. With the Ren DeEsser, I like to target and tame all the woof at the 200–500 Hz range. Remember that only one of those elements should be delivering the boom, and the other that woof! If you have both a kick and an 808 going at the same time, you’ve got to compromise to maintain that balance in the mix. One more technique I use is adjusting the output gain where available on the plugins. I like to tone down the gain within the plugin to give myself more headroom, because if I’m going to do any boosting, or give 55–100 Hz more love in the overall mix, I make sure I’ve got enough head room to compensate. The SSL E-Channel is my go-to channel strip for that. At the mixing stage, I don’t want these elements hitting zero, or just about to clip; because if I try to boost those low frequencies down the line, I’ll run out of space and headroom at the mastering stage. On 808s, there isn’t much information on the highs. I usually roll off the highs on my 808s and boost the highs on my kick, that way I can blend the punch and thump from the kick and the rattle and boom from the 808. It’s all about controlling certain frequencies from the start, so that when you do want to go crazy with the EQs later on in the process, everything’s not flying all over the place in the mix. Sometimes the sound alone, even without touching anything, may already have that characteristic or texture you’ve been looking for. Then you just have to bring it out and enhance it lightly. How do you add powerful presence, and make a club go off the chain with your mixes? How do you create that trunk rattle you were talking about? Compression can make or break your track. If you compress right, and get your 808s and kicks sitting where their dominant characteristics are noticeable, they can really pop. Like I said before, late attacks and quick releases on your compressor can get your drums punching through your mix so much easier. But you gotta be careful. It’s very easy to overdo it with compression and you can really slosh-up your sound! But, if you use a compressor the right way, you can control so much in your mix for the simple fact that you don’t have to worry about certain frequencies throughout the entire track. The trunk rattle is such an important aspect of our music culturally. I learned this especially working with [mixing engineer] Lu Diaz. 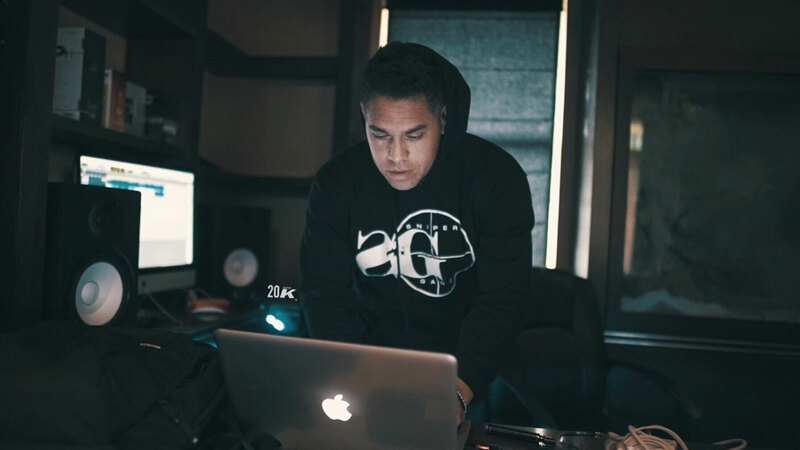 He’s like the godfather of the 808 in Miami because when you hear it in his mixes, it’s undeniable. You can’t ignore the fact that you feel like there’s an 808-bass player on the whole record. How do arrangement ideas come together in the studio? What’s involved in the collaborative effort in the control room? You know the DJ Khaled song, “All I Do is Win”? There’s that one part in the chorus where T-Pain says, “Everybody’s hands go up...” I remember there was a big debate in the control room as to how long that pause should be. Some people thought it was too big of a drop, too much silence. But Khaled’s intent was to give everyone in the club a quick moment to put their hands up, look around, and see that everyone else’s hands are up! This gives the listeners a chance to participate in the music. To this day, when I hear it at a ball game or at a stadium, when that part of the song comes up… everyone’s hands are up, and everyone is looking around, just like Khaled predicted! Say hello to my little friends… Machine Gun Hi-Hats! What are some your techniques for mixing triplet & arpeggiated hi-hats? I find it easier to program my hi-hats separately because with panning, I can create so much space. If everything is right up the middle, you’re just going to feel like there’s this consistently stagnant hat going throughout the mix, and you don’t want that. So, as a drummer myself, I like to emulate the same stereo spectrum of an actual kit. Another trick I use on the hi-hats, especially on the machine gun-arpeggiated hats, is I like to manipulate the lower-mid frequencies: 400–500 Hz, and even the 800 Hz area. By boosting these frequencies on the hi-hats, you’re actually adding body to them. And these are frequencies you typically reduce on things like the kick and snare. With the arpeggiated hats, I’m really cautious not to overdo it. You’ve got to entertain the lower frequencies because they can add a whole different character to each hi-hat you’re using in the mix. For example, treat the second hi-hat that’s on the beat of the 8th note differently EQ-wise than the hats on the 16th or 32nd or 64th beat. And still another trick I use is filtering out the hi-hats when it comes to certain sections of the pre-chorus. That way, when the hi-hats come back in on the chorus, it feels like a whole new approach – a whole new sonic performance. Some people might think hi-hats are just hi-hats. But to me, there’s so many things that could be done to them in the mix to keep things interesting. What else do you do to keep the whole mix interesting, to grow the hairs on a listener’s arms from the drop to the end? One of the most important things is to make sure that nothing is redundant or repetitive in the mix. I try not to repeat any 8-bar loops throughout the track. I might take out a hi-hat, or add a kick to a section of the phrase. Just as a quick drop to give certain sounds a break, and then bring them back in, giving a feeling of arrangement to the drums. A lot of people – whether they do their drums on a MPC or sequencer – stick to the 16-bar loop that they had intended for the beat. Create a sense of gaps and breaks. Take away the second snare for the B-section for example, this gives your whole production a sense of movement and a sense of being alive. You have to try to make your track feel like there’s never the same part playing twice. How do you achieve that famous underwater or filtered effect on the track? Who started that? The filter effect on drums was carried out way more in the South. In terms of production, you want to manipulate the track somehow to give it a break and let things breath, but without making a completely different section. On the track “Reminiscing” by Kodak Black, the filter effect was used on the second half of the chorus. I wanted to generate a different feel for when the verse dropped – just to create a contrast from the rest of the song. At the same time, you gotta remember Miami is an aggressive city! The clubs, the streets, the people, they’re all aggressive! Sonically, you want to be aggressive with how your music is produced. At the end of the day, that’s one of my favorite effects because while the drums are going hard, and they’re doing one specific thing, I know for a fact, that if I filtered them out and brought them back in, people are going to feel like there was just a reset button on the entire song. A whole new life is brought back to the beat again. On many sessions, one thing I’ve been using non-stop is the OneKnob Filter. I love how the resonance feature adds a really cool beating-filtered texture to the track. “Reminiscing” is one of the most recent tracks I used it on. It just gives a certain section a whole new feel and contrast from the rest of the track. I used to automate EQs and panning to achieve the same effect, but it takes too many steps. Sometimes during a session, you’ve got to get things done quickly. With drums smacking, hi-hats firing back and forth and 808s hitting you in the chest, how do you achieve vocal presence and clarity and get the voice to cut through in a busy mix? Again, it’s all about getting that control. I use the C1 Compressor with the sidechain and de-esser feature. I love the fact that you can go from the highest frequency to the lowest with the de-esser on this plugin. When it comes to vocals, I’ve learned that I love to control them, more than I love to actually EQ them. A principle you should remember with the vocal is you shouldn’t have to change or manipulate a person’s voice too much. Try to get the best vocal performance recorded from the start. If I need more clarity and presence, I’ll use the SSL E-Channel for any EQing. And then I’ll probably compress with the Renaissance Comp. I get the right fit dynamically so nothing pops out too much. If I need an extra boost, I’ll use the Renaissance Vox just to give myself more volume. Another thing I like using on my vocals is the Manny Marroquin Triple D plugin. It works wonders for me, and the ‘Deboxy’ feature really helps in cleaning up any mud or harshness in a vocal. The more projects you work on, and the more you get involved with using these tools for production, treating the vocals becomes almost like muscle memory. How many overdubs or ad-libs is overkill? How do you decide when too many dubs are present, or if more are needed on the vocal tracks? Every artist is different. Kodak [Black] likes to do a lot of dubs. He likes to do his ad-libs, and lots the stacks on the vocals. But then, take an artist like Rick Ross. On his first album Port of Miami, there’s a ton of overdubs. But on his newer stuff he doesn’t record nearly as many as he used to. It all boils down to the sound direction and feel of the song. You have to cater to each record as it’s happening. Then there’s other artists —take Kanye [West]. On [DJ Khaled’s] “Go Hard,” it was me, engineer Lu Diaz, and producer Benny Billion$ in the control room. Kanye sent us his vocals in only one mono track – nothing else. Literally, just one track! But after hearing it with the rest of the music, it actually sounded complete. It sounded full. It sounded right. Do you do any special processing to overdubs or ad-libs compared to the main vocal? For things like overdubs, I like to create my own plugin chains that are designed to deliver a certain sonic character. I’ve been doing. I really like jacking up the saturation on overdubs because it gives that real fuzzy, warm, and somewhat distorted feeling. But then sometimes after giving it that saturation, I like throwing it into a reverb so it sounds somewhat spacey and a little distant. I’ll take a Renaissance EQ on my overdubs or ad-libs, and cut off 600 Hz and below because that with the saturation gives it this really cool, distorted, space-filtered sound; that burnt-out, crazy texture. These types of things give the vocal performance a fresh breath. Do you do anything different working with an MC vs. a singer? What are some of the different types of practices that come into play as an engineer? My older sister is a singer. Growing up with her, I learned how much it takes a lot for singers, as opposed to rappers, to feel a certain level of comfort in the booth. Some things are the same with singers or rappers – but with singers, I feel like it’s even more important not to stress them out. When it comes to rappers, it’s all about capturing their essence; they need to feel like they’re in their own element. We have a studio right on the water here in N. Miami. For example, when Meek Mill came through; before we even started working in the studio, we all went fishing! We were fishing already when Meek pulled up. So, he grabbed a pole, caught a fish, and used that fish to catch another fish! His boys later came through with the bikes – riding, doing tricks… and all of that goes toward the same purpose. You’re creating an attitude, and creating a vibe that the singer or rapper is going to take into the booth and perform with; and it’s your job to capture the very best in that. Any final tips for aspiring producers and engineers? As an engineer, I’d say one big goal is speed. A lot of it is about being able to get the process from the idea to the track out as fast as possible. But more than that, it’s curiosity. It’s so much more than whether your beat’s good, or whether you think your artist is going to have a good song. It’s about doing experimental things and coming across something new, and just riding the momentum in a different direction that you didn’t think was possible. You need to manifest that creativity and the concepts inside your head, and bring those ideas to life. You should be wild, experimenting, trying this and that; you’ve got to sometimes bet on yourself. That feeling of curiosity should never go – it’s the major thing. 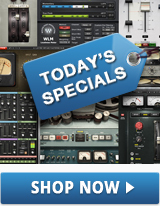 Download Derek’s personal presets for DeEsser, Renaissance Compressor, C1 Compressor and SSL E-Channel plugins.